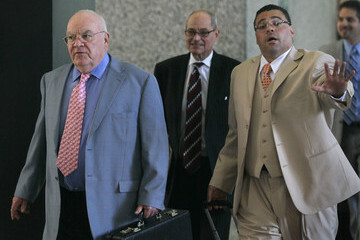 The Blagojevich legal team just can't get their story straight. Most notably, they're having a difficult time coming up with a reasonable explanation for why they did not make Chicago Tribune reporter John Chase tell a jury how he knew that the FBI had a wiretap on Blago. Such a difficult time, in fact, veteran attorney Sheldon Sorosky actually said that if he had called Chase to testify, "They would have just blamed an FBI agent" for leaking the information about the wiretap. Let's take a minute to fully appreciate what a truly remarkable statement that is for a defense attorney to make. Clearly Sorosky is at a loss to explain why he did not call the one witness whose testimony could discredit the very people that Blago needed to discredit, namely the FBI. Good thing you chose not to discredit the FBI, Shelly. Otherwise the prosecutors would have regretted calling FBI agent Dan Cain as their first witness to testify against your client in BOTH of Blagojevich's trials. Remarkable, Shelly, truly remarkable! Can anyone spell malpractice? Blago's other legal eagles, Sam Adam and Sam Adam, Jr., have been contacted by IP2P but have not responded. If they have anything to add to Sorosky's explanation just let us know? 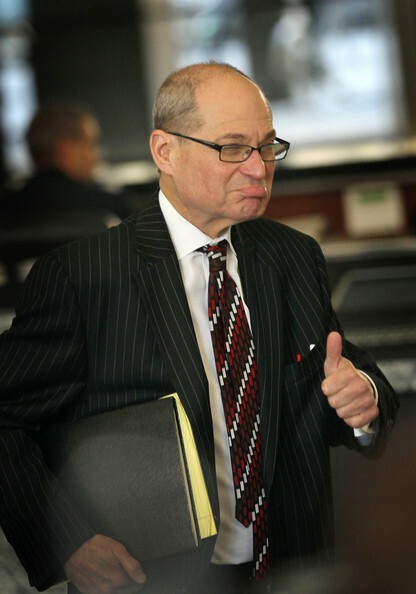 As for Robert Blagojevich's attorney, Michael Ettinger, his previous position was that they would have put Chase on the witness stand had they thought of it. But that has now become "I don't recall who John Chase is." Really Michael, now you don't remember who "Golden" author John Chase is? That's peculiar considering you've publicly declared John Chase a liar. Apparently Ettinger has now decided to rejoin the rest of the Blagojevich legal team in their silence on the subject of John Chase knowing about the FBI wiretap and receiving copies of the sealed tapes from the feds. The feds and Blago have finalized their deal, and you can expect the announcement of his early release from prison very soon. Oh, and don't be surprised if you hear that WLS Radio has a job waiting for Blago when he gets out. 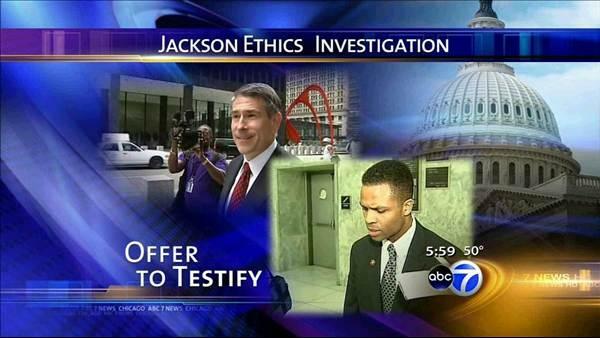 It's time for the U.S. Attorney in Chicago to reopen the criminal investigation of Jesse Jackson, Jr.'s attempt to purchase the U.S. Senate seat that Rod Blagojevich was found guilty of trying to sell to him. After all, why are we to believe Jr. when he say's he did not try to buy the senate seat? He's a confessed liar. Plus, Jackson is bipolar, right? So ask him again. Maybe this time he'll confess. 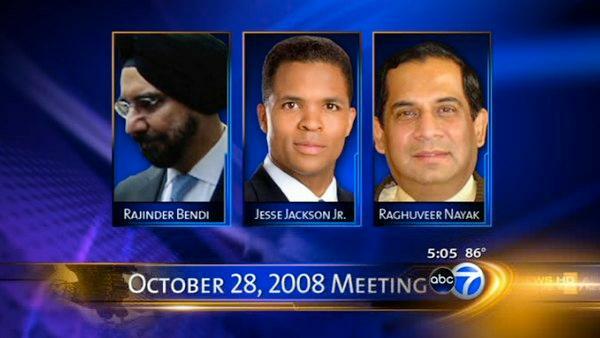 Don't forget: the prosecution has Jackson friends and allies, Raghuveer Nayak and Rajinder Bedi, ready to testify under oath that Jr. tried to buy the seat. And then there's Rod Blagojevich sitting in a federal prison for attempting to sell the Senate seat to Jr. What more does a prosecutor need? If prosecutors want overkill, they can call John Chase and Jeff Coen to testify about the contents of the wiretap recordings - recordings that only John and Jeff were allowed to hear. Keep in mind, the statute of limitations on this crime expires next December. It's time to act. Robert Blagojevich, we at IP2P stand with you in your quest to have this fully investigated, and call on the DoJ to reopen the criminal investigation into Jackson's attempt to purchase the U.S. Senate seat vacated by Barack Obama. And furthermore, we urge Carol Marin and the Sun Times to get behind Robert in this worthy cause. Let's all help Robert Blagojevich get the investigation into Jackson reopened. Let justice be served.